It seems state law allows a judge to reopen a long-settled agreement if the judge believes the party asking for support might otherwise become an expense to the state. In Massachusetts a bill backed by a group called “Reform Massachusetts Alimony Laws Now!” has 72 sponsors and would require a spouse receiving alimony to become self-sufficient, or attempt to, after a reasonable time. That would establish alimony as a temporary payment instead of a permanent entitlement, as is often the case now…. The House bill would end the currently common practice of using the assets of a second spouse to determine the ability of a person to pay alimony. 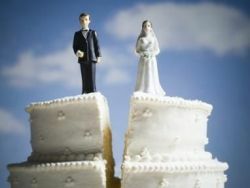 Alimony could only be adjusted upward for cost-of-living increases, and alimony obligations would end upon the retirement of the payer, though judges would still have the flexibility to take into account special circumstances. Opponents of the bill say it may not adequately protect those who rely on alimony payments. Massachusetts State Sen. Cynthia Stone Creem, a Democrat and a divorce lawyer who co-chairs the joint judiciary committee, has called for a commission to study all the alimony legislation, a move that could delay a vote until next summer. Sen. Stone Creem filed her own bill, which would modify the state’s law slightly, giving judges greater leeway in setting the duration of alimony payments. In April, for example, Palm Beach County Circuit Court Judge David French prevailed following a 16-year battle to stop or reduce his alimony payments. A state appeals court ruled that Mr. French should not be forced to pay $3,400 a month to his ex-wife, who has lived for nearly 20 years with another man. The judge ordered the ex-wife to pay Mr. French $151,000, the amount she had received from him since he filed a previous case in 2005. Ms. French’s lawyer did not return a call seeking comment. Amy Shield, Mr. French’s lawyer, said he was pleased with the decision. Last month, Massachusetts representatives heard testimony from Brenda Caggiano, a 70-year-old retired first-grade teacher who supports her ex-husband, Robert, a certified public accountant. When the Caggianos divorced in 2003, they split their assets. He got their home on Cape Cod. She got their home in a Boston suburb, and paid him the $57,000 difference in the value of the homes. Ms. Caggiano earned more at the time, so the court ordered her to pay $125 in weekly alimony until her death or her former husband’s remarriage. Since Massachusetts is a “no-fault” divorce state, it made no difference that it was, as both parties acknowledge, Mr. Caggiano who left home. Ms. Caggiano says she’s living pension-check-to-pension-check and has had to tap a home-equity line of credit to fix her roof. “It’s a disgrace that this man is taking my money when he’s perfectly capable of supporting himself,” she says. It’s well past time to recognize that the victories of feminism that equalized access to jobs and professions imply that men and women who marry should not be yoked together for life by mutual obligation after divorce. The state’s role in this system is parasitic and harmful, creating incentives not to work or remarry for the alimony receiver, and putting crushing financial loads on the payer. The system’s cost and lack of flexibility hurt everyone. Reform should include an absence of any obligation to support an ex-spouse (unless provided for by their marriage contract or pre-nup) and presumed equal custody and equal child support obligations unless it can be shown a parent is unfit.